Hundreds gather to say goodbye to the 'beacon of strength' cancer campaigner. 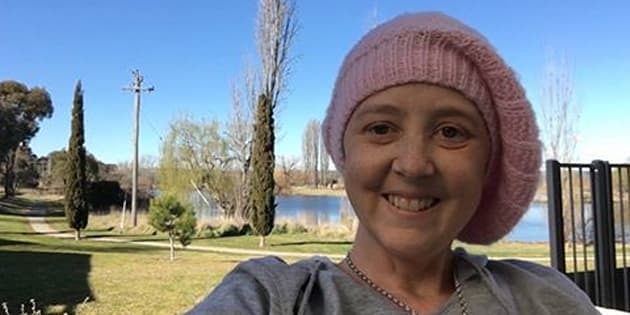 Hundreds gathered at Connie Johnson memorial in Melbourne, while thousands watched on live streams to celebrate the life of the cancer campaigner. The life and work of cancer campaigner Connie Johnson has been celebrated by hundreds at a service in Melbourne following the breast cancer campaigner's death earlier this month. Johnson, the founder of the Love Your Sister charity, died at a Canberra hospice on September 8, one day after being awarded a Medal of the Order of Australia for her extensive fundraising work. The 40-year-old mother of two, and sister of actor Samuel Johnson, was remembered at Melbourne's St Paul's Cathedral on Saturday before a crowd of hundreds where she was remembered as "a storm, thundering in hearts" across the nation. More than 10,000 people watched a live stream of the service. "To survive for Con, she had to rise about this pain and this sadness and this downpour of horror that was flooding and consuming," her husband of 18 years, Michael Johnson, told those gathered. "Connie had to look beyond her own cancer, beyond her own diagnosis, she became driven by this hope, an obsession, that by talking about and raising awareness she could maybe stop even one other family from having to go through the horror that we lived with day by day." "We saw Connie become a storm, thundering in hearts right across the nation, banging on doors, and shaking our windows, and saying 'wake up, live, now, for now is awesome'." St Paul's Cathedral was filled with "villagers" -- followers and contributors to Connie's Love Your Sister fundraising efforts which raised $6 million at the time of her death. Connie's brother Samuel Johnson was the person who announced her death on the Love Your Sister Facebook page after she decided to end all treatment in April. "It was so beautiful. We laughed, we cried, we sang stupid songs from our childhood to her, which she loved (mostly! )," he wrote at the time. Governor-General Sir Peter Cosgrove visited Connie at the Canberra hospice the day before she passed away to award her the Medal of the Order of Australia in person. Diagnosed with terminal breast cancer in 2009, Connie launched Love Your Sister in 2012 to help raise funds for cancer research.